Home / Npower / npower stipends / N-Power August Stipends Payments. As the 2016 N-Power Beneficiaries are getting ready to receive their last August stipends before they exit the Federal Government Social Intervention programme by December, so also the 2017 beneficiaries are getting ready to receive their first stipends this August. One thing we understand about the Npower stipends payment is that payment are done every month ending and sometimes it may exceed to the next month just like the July stipends which was paid in the month of August. So therefore, we advice our fellow 2017 N-power colleagues to note the above statement. 2017 beneficiaries as you prepare to start receiving your first stipends, what are your plans in terms of investment? Learn from some of your senior colleagues who are investing their stipends. Make sure you save some percentage of your monthly stipends to enable you start-up. And for the 2016 beneficiaries, what are your exit plans as you wait for your last August stipend and other four month final stipends. It is not too late, you can still sacrifice and use your remaining stipends to startup a business should in case the permanency things did not happen, do not put all your eggs in one basket. Enter your comment...I am Okeagu Franklin , one of the 2016 beneficiary. 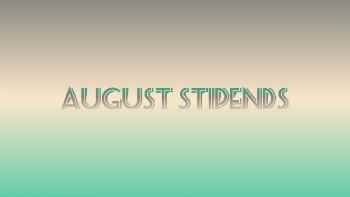 please I did not receive my August stipend. what should i do?